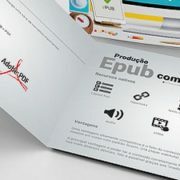 With the increasing number of e-readers, the business of e-publishing is undergoing unprecedented development. 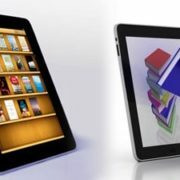 The online selling of books offers better marketing opportunities for the authors and publishers. A website enables a strong online presence for them with new distribution channels. 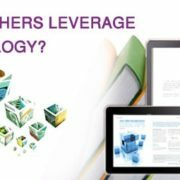 The figures of unique titles are growing every year necessitating the updating of their systems on a regular basis. Despite having the high inflow of new users, conversions are a consistent challenge for the organizations. In this regard, XML conversion has emerged as a robust tool for this industry. It is an acronym for Extensible Markup Language. 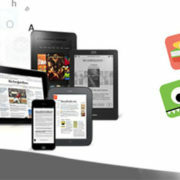 It offers compatibility with every platform. Many organizations are leveraging this format for converting the voluminous data existing in their system in varied formats. It comprises the methodical conversion of data along with its encoding and storage for the future uses. It is extremely important for the organizations managing massive databases. It compiles the information in a structured format that can be easily read by the search engines. However, fast and accurate conversion of data can be challenging for them. It can be done through the effective conversion tools. 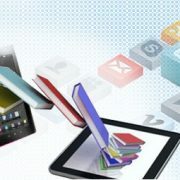 Hence, outsourcing of XML conversion to the professional e-publishing companies seems to be the most viable option. The formats that can be converted into XML are HTML, Text, PDF, Doc, SGML, Access, Excel, and XHTML. Why XML Conversion for Your Business? 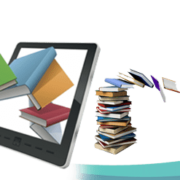 It is possible not only to attract but also retain reader’s attention persistently by integrating XML format into your e-publishing business. It updates the changes regularly and improves the data quality within the strictest deadlines. With proper management of data, it becomes easier to add value to the information that you provide to your users. It brings uniformity in the presentation and boosts the conversions on your website. XML format is compatible with every platform. It can be used for converting any format into this form. Its cross-browser compatibility enables faster sharing of data to different devices and web applications deployed in the enterprises. With XML conversions, it becomes easier to manage the workflows and enhance the business productivity. It facilitates a systematic arrangement of data stored in the systems. This results in sequential management to ensure faster access to this data. Also, this format adds scalability and flexibility in the operations. It works with schemas. Furthermore, it can easily manage the huge data files and even, non-printable characters. With proper arrangement and sequential storage of data using XML conversion, it becomes easier for the spider bots of search engines to find this data effectively. It boosts your SEO efforts by presenting the data in a readable format. For effective conversion of data with absolute accuracy, you must outsource it to the expert e-publishing services providers. It can save your costs significantly because streamlined data will free up the storage space on the servers and you needn’t invest in the procurement of huge spaces. The experienced companies can offer up to 99% conversion accuracy using their advanced and automated conversion systems. With Infognana’s specialized XML conversion services, you can avail better outcomes as required by your online business. https://www.infognana.com/wp-content/uploads/2017/01/XML-Conversion-1.jpg 255 680 Infognana https://www.infognana.com/wp-content/uploads/2017/02/Logo.png Infognana2017-01-06 08:24:222017-02-10 07:33:15How to Improve Your Online Publishing Business Using XML Conversion?